The official turning 8 party for Elizabeth commenced on Saturday, and the above poster, which was hanging all over our living room, sums it up nicely. 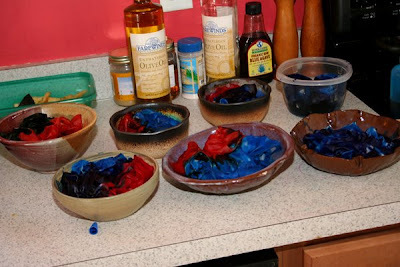 Activity number 1 was dyeing the silk dancing scarves, which each partygoer did as soon as they arrived so that the dye could set, and I could wash and dry them, with time to use them at the end. 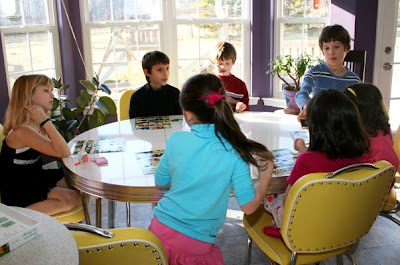 While the scarves were setting, washing, and drying, a few games of American Art Bingo and some cake passed the time. In lieu of a traditional birthday cake, Elizabeth chose Angel Food Cake (from Whole Foods, she was very specific) garnished with a dob of fresh whipped cream. 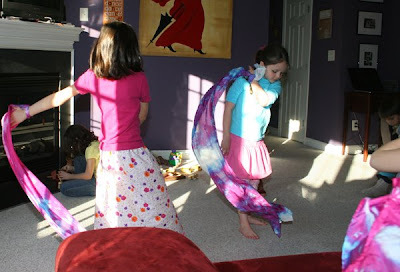 Then the partygoers got their groove on to some Celtic music, scarves flying, and Elizabeth in her new birthday skirt. In all, a pretty fun way to turn 8. Oh, fun. 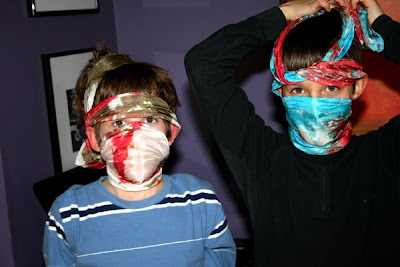 THe scarves look great. 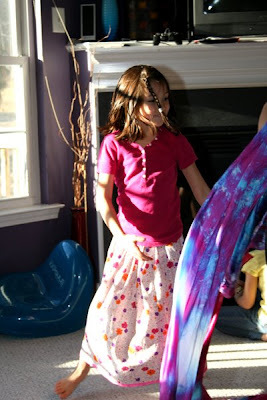 Oooh...I like that girls style! ;) Sounds like a great party.